Owning a vehicle is a serious investment. If something goes wrong with its engine, the repair might cost you heavily. You may need to evaluate the merits of each vehicle on sale using vehicle history reports. Additionally, the Missouri Department of Revenue may give you the vehicle information you need about Missouri vehicles. Contact at 573-526-3669 (Ext 6, Option 2) to ask for vehicle records. For other inquiries, visit the Contact Information page. You are given a 30-day grace period to register and title a vehicle after purchasing it or after establishing residency. Failure to comply before the due date is fined $25. The fine increases by $25 each month the car remains titleless. Missouri plate’s official serial format contains four letters and two numerical digits. Missouri is among the many states which issue two license plates for each vehicle unit. One on the front, another on the rear. Fill out the application form to request a replacement plate/tab. Follow the instructions written on the form to process your request. There are four (4) plate types available in Missouri. Read the description of each plate as requirements may vary. For an in-depth information about plate types, read the Personalized and Specialty License Plates page. Transfer your plate between two vehicles you own by bringing the required documents to a Missouri license office. See to it that the information provided are all correct. The agency has the right to deny any application with mistaken details. Check the map and enter your zip code to locate the nearest office to your place of residence. As stated in the “Missouri License Plates & Placards” section, new residents and owners will be provided a month-long grace period to title their vehicles before penalties become applicable. Start the titling process by handing over a completed title application form to an authorized officer. To prevent any interruption from happening during your application, make sure only the right details are provided. Please take note that the titling requirements for old residents, new residents and military personnel may vary. If the title were not delivered to you within a month after submitting your request, a follow-up inquiry can be sent to get an update about your title. Do not forget to bring the payment that may be asked of you by the office responsible for your title application. Use the tax calculator to estimate the amount you will need to pay for the taxes associated with the title application. Confirm with an authorized agent if your vehicle needs a safety inspection. Similarly, an emissions inspection for vehicles is required in certain areas of the state. You may verify if your location is one of them. If a car has a lien attached to it, you may need to secure a lien release form to continue the titling process. Visit the Frequently Asked Questions page for other details that were not covered in this section. You may also email your inquiries to the Department of Revenue itself if you were unable to find the information you were looking for. Buying a used car in Missouri? Don’t make a costly mistake. 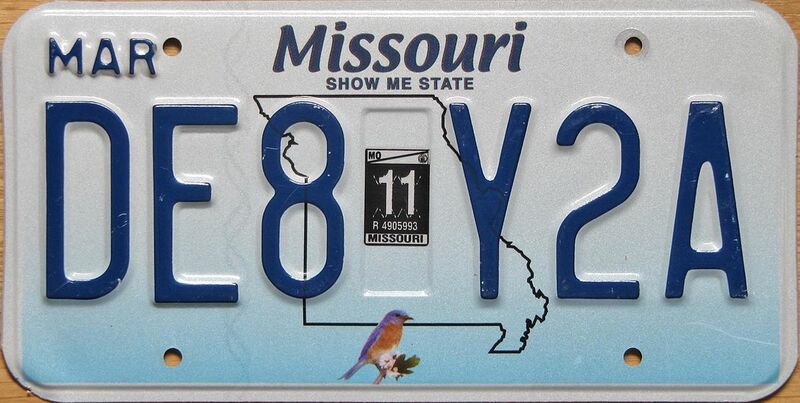 Run a Free License Plate Lookup for your Missouri-registered vehicle! Run a Free Missouri License Plate Lookup to uncover the full-story of your Missouri-registered vehicle.